If you like exercising, or you want to start now, PerfControl can be your ideal accessory to control your routines, development and your body's general evolution, with the general purpose of knowing if everything is going well or if you need to improve something. 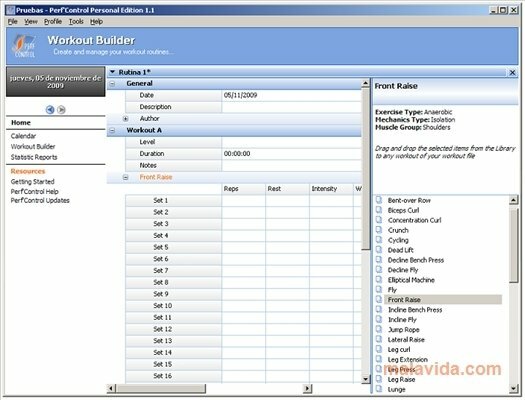 With PerfControl, you will be able to create your own workout routines with the exercises included in the program, that are the most usual ones, or easily create your own exercises, with the purpose that you mark you own final objectives. 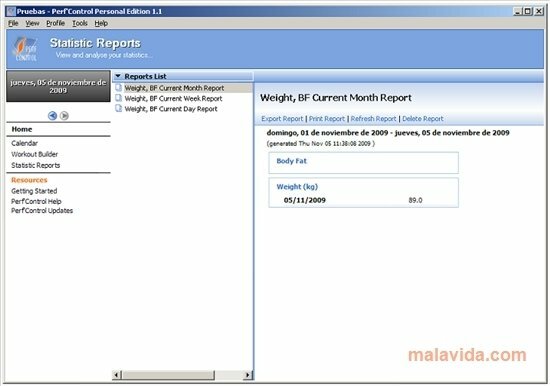 It has a calendar on which you will be able to easily view your evolution and you will be able to set out your objectives, as well as a complete monitoring of your weight and your body mass. And as our physical workout is something that is often abandoned, PerfControl includes an alert and reminder system with the intention of encouraging you to continue with your routines. 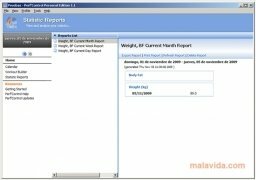 The program can be used by various users, it has a favourites system, a unit converter and it allows you to export all the data as an XML file.